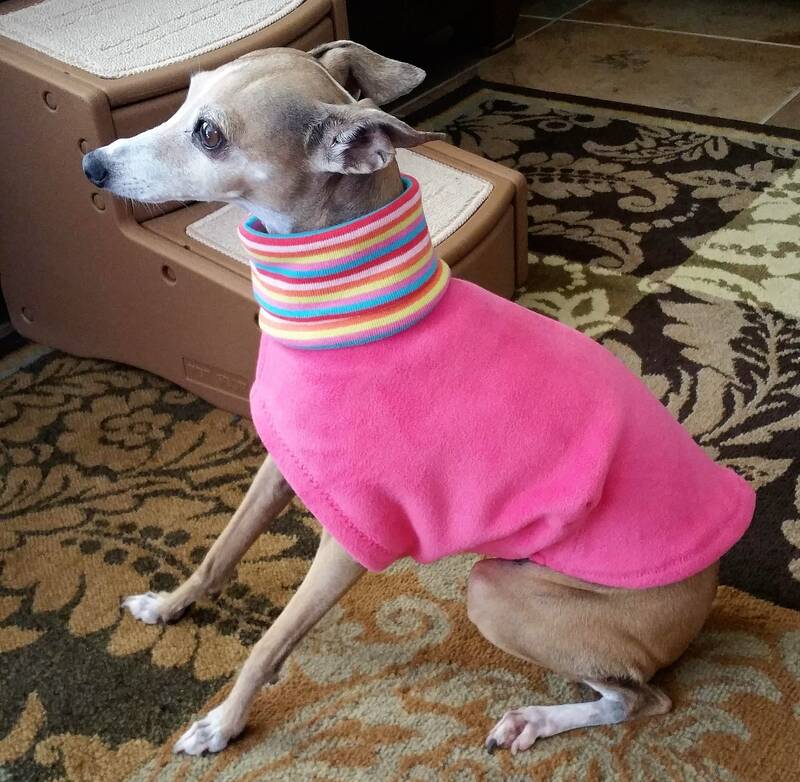 Italian Greyhound Clothing. Pink Lady Stripe . 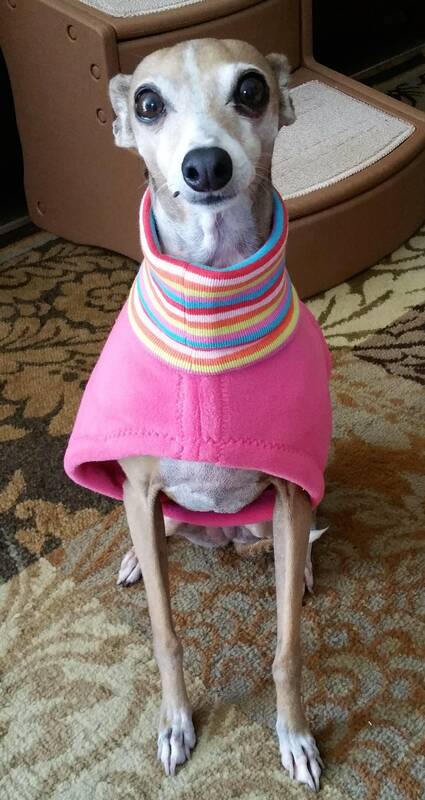 Italian Greyhound Coat. Dog Clothing. Pet Clothing. Small dog clothes. Dog Jacket. Dog Coat. Oooh La-La! A gorgeous heavy-weight Jacket for your diva girl. Made of Luxe Fleece which is a premium quality, heavy-weight fleece that is soft and cozy (not your regular every day fleece). 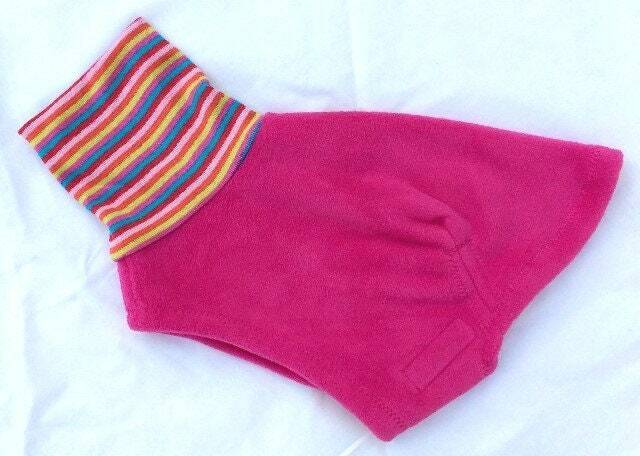 Accented with a fun multi-stripe turtle neck collar! Darted in all the right places for a sleek fit. Velcro belly closure. This is a Jacket style and is designed to be a little shorter - does not cover the rear. The trim lines stop around the front of your hound’s thigh. Care Instructions: Close Velcro. Machine wash cold/ tumble dry cool.